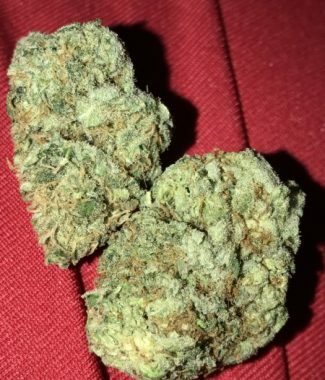 Gorilla Biscuit is a slightly indica dominant hybrid (60% indica/40% sativa) strain created through crossing the classic Sensi Star X Stardawg IX strains. 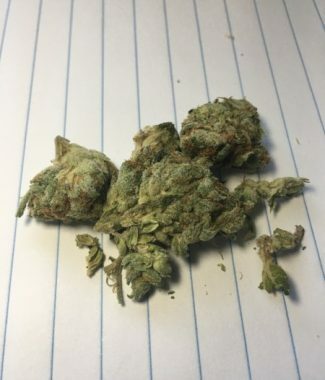 This heavy-hitter gets its name from the slang name for the infamous Methaqualone hypnotic popularized in the 70s. And once you feel the effects of Gorilla Biscuit, you’ll see exactly why. The high starts with a euphoric head rush that launches your mind into hazy introspection and leaves you pretty spacey at times. As your mental state soars, your body will fall victim to a happy buzzing state that leaves you relaxed and pretty aroused. Eventually, you’ll start to fall deeper and deeper into rich hazy visions, lulling yourself into a deep sedation and eventually sleep. 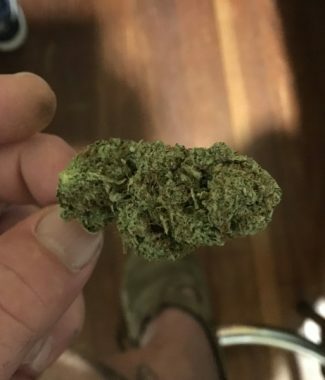 Coupled with its high 15-20% average THC level, these effects make Gorilla Biscuit perfect for treating conditions such as chronic stress, insomnia, depression, cramps, and appetite loss. 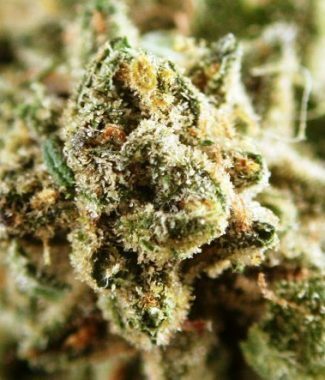 This bud has small pebble-shaped forest green nugs with orange hairs and a coating of golden crystal trichomes. The flavor of Gorilla Biscuit is said to be of sweet earthy pine with a touch of ammonia.